News and updates from the Big Bad Bank and George Hunt. asked deep questons about the bank which gave me more information. lurks everywhere I go now. I am shadowed by someone. I know that. spark that ignites even one or two of you to be indignant about it. me? I have no fear (at this point). In closing, I am not a religious freak. I enjoy fun parties. California at 10:30 AM. When to die?—Who knows?). "FLASH! George Hunt (me) appears tonight on Tru-TV 10pm east 7pm west. on Jesse Ventura’s Conspiracy Theorys. Tell everyone." “FLASH! George Hunt (me) appears tonight on Tru-TV 10pm east 7pm west. To get the entire story they did not show you on TV visit my website. Posted on December 16, 2009 February 23, 2012 Author The Big Bad BankCategories NewsTags TVLeave a comment on "FLASH! George Hunt (me) appears tonight on Tru-TV 10pm east 7pm west. on Jesse Ventura’s Conspiracy Theorys. Tell everyone." I talk about this and related info in my newest video. state are expected to attend this Major Event. made to decline through ECO-15 decrees. offices were bailed out by the FDIC on Friday,October 30, 2009.
but the FDIC is holding off from closing the banks for lack of funds. 2,851 banking offices and 5,175 ATM’s in 24 states. 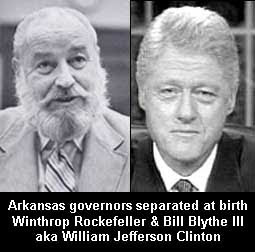 Is ex-president William Jefferson Clinton the son of Bill Blythe III or is he really the son of Winthrop Rockefeller? Junior, is running for Governor of Arkansas in the next election. Take a look at The Big Bad Bank Videos to see more in depth information on this and related topics. 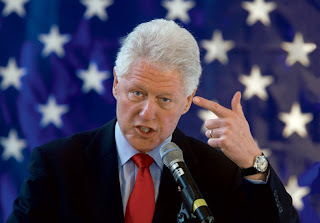 Posted on November 8, 2009 February 21, 2012 Author The Big Bad BankCategories NewsTags Bill Clinton, David Mixner, Jimmy Carter Arkansas, Winthrop Rockefeller2 Comments on Is ex-president William Jefferson Clinton the son of Bill Blythe III or is he really the son of Winthrop Rockefeller? of commerce to use the internet efficiently, they say. World Order lackeys. People! Resist their censoring efforts! which, according to the aristocrats, will soon engulf the world. hurting the environment movement through my DVD’s, etc. 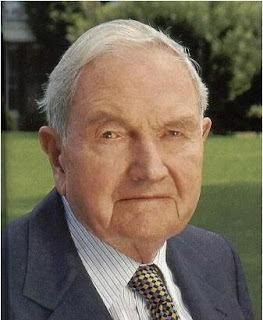 was the president of the World Conservation Bank, I. Michael Sweatman. 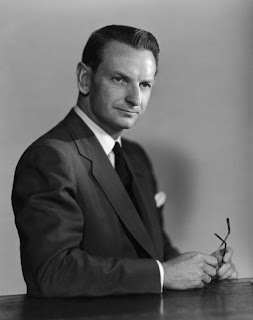 addresses from Maurice Strong, Baron Rothschild and Michael Sweatman. requirement to assist in rooting out the evil from America as well. for freedom,. Is that really too hard to do? Most HAARP articles I have read agree that a dangerous and deadly weather control system has been created. The folly of slicing into the ionosphere with a slight bit of energy and send huge electromagnetic beams into the earth or kill crops and wildlife by diverting water-bearing weather away from any region is playing with Mother Nature with high levels of risk and ignorance. What drives people to conceive of such billion-dollar inventions while the poor starve? The potential fruits of ionospheric weather control are certainly not worth taking any risks with such a system. BUT HERE IS WHERE WE ARE BEING MISLED: Do you notice how many times various HAARP articles refer to the “MILITARY” as being the bogeyman? It is my suspicion that the Rothschild World Conservation Banking/Conservation Conspiracy could realaly use HAARP technology extensively and CREATE global warming, extreme weather incidents and other Al Gore predictions. Lots of expensive machinery, bigger than the defense industry, will be needed to fight global warming, acid rain, CO2, etc. The rich elite will use HAARP before the military will. Could the authors of many HAARP articles unknowingly be pointing the finger and blaming the military for HAARP’s insane project where the real beneficiaries of HAARP power and might may actually be the “Enviro-Aristocrats”. As you may know from my www.thebigbadbank.com DVD’s, the aristocracy now controls both the world conservation movement and its avowed enemy, world industrial growth and development. Jim: Your excellent book brought back memories of when I was fired by Scott Paper for bringing out the polluting characteristics of Scott Papers’s endeavors at a vice-presidents’ meeting to observe and question “Scott’s future executive material”. We were bombarded with Kimberley-Clark, P &G and private label products and I suggested that we go to market informing that Scott cared for the environment, etc. “Like the girl scouts, George?” the angry marketing VP hissed. “Well, sort of, I guess,” I remember saying. “Pack out what you pack in. That sort of thing.” “Well the name of the game in Scott Paper is profits and dividends. Do I make myself clear?”, he retorted. “Yes, sir.”, I responded and that was it. When I returned to division headquarters in Boston, my manager said that I had offended too many people with my question. .”The whole paper company is buzzing with your QUESTION! Your career is blocked because you offended the executives”.” Happy ending. I got a great job, moved my family to Boulder. Happy as a clam. Scott was in stages 1,2 and 3 when I left and we know the rest. “Chainsaw” fired VP’s and executives left and right. The company became a victim of Philadelphians’ protest against Scott’s polluting policies, Their executive VP “Junior” (McCabe’s son–sales people hated him for some reason) died in a horrible household fire and the company just came unglued with various disappointing events. I still respect the company’s products and many effective people I worked with. In my loneliness I went it on my own and eventually became a multi-millionaire. Interestingly, I went to stage 4 with my own corporation before I sold to a good bidder. I also learned that entrepreneurs do have a problem with management. I became rather bored with the whole thing after I got it off the ground. Getting fired allowed me to bring my wife and family of three boys to mountain living in Boulder. Goodbye, East Coast. You wrote a great book and I’ll follow you along your way to successful teaching. By the way, take a look at my DVD’s about the banking system at “UNCED” or www.thebigbadbank.com. Business has some very unfriendly competition coming their way, as you will see. 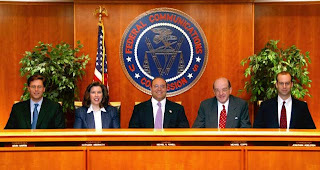 FCC will begin to regulate the internet!! 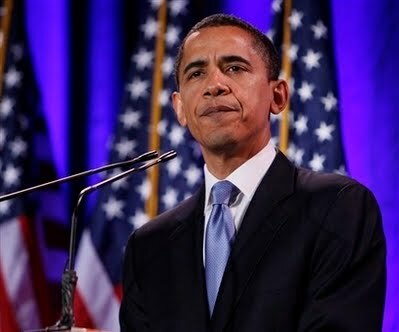 Obama’s Federal Communications Commission (FCC) Chairman announced today that the FCC will begin to regulate the internet. The FCC wishes to block “certain types” of internet traffic flowing over the networks. The same restrictions presently imposed upon wired networks will also be imposed upon wireless networks. I don’t know the technical side of this announcement, but what I do know from history is that invasive and prohibitive policies will assuredly be created that will amount to CENSORSHIP on the internet. Eventually persons who have news of concern to Americans will be censored out of the internet. More on this subject in later blogs. More DVD’s of www.thebigbadbank.com are now on the internet. Please look them up. Posted on September 21, 2009 February 14, 2012 Author The Big Bad BankCategories NewsTags CENSORSHIP, FCC, newsLeave a comment on FCC will begin to regulate the internet!! 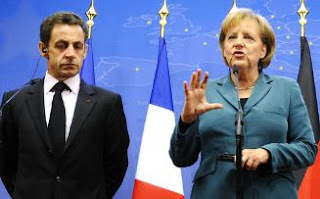 1) break the back of the middle class to eventually divide the world population between aristocrats and the masses. 2) adjust the currency systems and credit systems to bring #1 to pass. 3) Coordinate the “Group of Thirty” (see on Google as well as Jacob A. Frenkel’s biography) for the next year’s formidable moves among the international banking crowds. Lehman brothers went down today one year ago and nearly took the whole country with it. You have read and heard from me how the New World Order establishment sends their spies into into leadership positions in both sides of an argument or an issue. When the aristocracy infiltrates both sides of an important issue they wind up controlling the synthesis, the final argument of the two opposing sides. That is why aristocrats have involved themselves so much in environmental causes. They come up with organization names such as The World Wildlife Fund and The Sierra Club as well as paid proponents of conservation such as Al Gore’s chilling, doom-laden prognostications, much like chicken-licken’s delusions that “the sky is falling”. The aristocracy is, of course, has been heavily dependent on profits and dividends from industry to swell their already-gorging larders, so they’re already heavily-emplaced in the “growth and development” industrial side. To make their program as profitable as possible it will be required to create industrial pollution on a continuing basis while the pseudo-conservationists scream for more tools to fight for the environment. Trillion-dollar programs will fail to clean up the environment, but the environmental crowd will reap huge contracts and dividends from far-fetched conservation remedies. Get it? The industry vs. environment crowd will maximize their profits by fooling the masses into thinking that “the sky is falling”. Hey Everybody I am in Hollywood California filming for truTV. That’s right, we have had such a great response from The Big Bad Bank DVD. People love it! We have had donations from around the world and people have been noticing our efforts. truTV contacted me and flew me down here and without giving too much away they want my expert opinion on environmental issues and the people behind these so called movements. We have several people posting my various videos. They are everywhere and people are enjoying them. If you haven’t seen the latest and greatest Big Bad Bank documentary, go here and see what everyone is talking about. I am really excited to be able to share my story and concerns with you all and keep watching the videos and sending comments. Military action, Soviet revolution, JPMorgan Chase, Oh MY! JPMorganChase paid back the taxpayers’ $25 Billion “loan” in July. It was strange that they needed these bailout monies when their assets amounted to a vast $2.1 trillion dollars at the time. The loan monies are beginning to be returned by many other banks now. I discovered in an article in London’s “Manchester Guardian” that the Rothschilds established a new Rothschild bank in October 1987. This was about one month after the World Conservation Bank was enacted at the 4th World Wilderness Congress in September 1987. I believe all banks will topple into and/or be absorbed into this Rothschild bank addition. What may evolve after a currency collapse could be chaos! Think, military action. To quell the fears install a government to control the panic of the populace. The new government will probably be fascist similar to the cruel government after the Soviet revolution. This is not a pretty picture of what could happen, but it could.. I present solid evidence that this new bank is a project of the very rich eliste and doomed to bankruptcy even before it is established. The first indicator that this is a sham bank is that they don’t want to tell the middle and lower classes about the bank. They don’t want to tell you and me about it; they don’t want to educate you about it. Why not? Because the facts point to a concealed fraud and we cannot live with a monster like this bank.. This will be an interesting and educational adventure for you into the world of international banking, complete with associated fraud, deceit, secrecy, sorcery and corruption. Who do you know that should see the presentation? It may be your friends, a congressman, a local official, your church, mosque or synagogue, the person next door who is interested in the so-called conspiracy theory. As you will see, the so-called conspiracy theory will become a FACT after you view this presentation. It is my goal to educate millions of people about this bank– and you are one of them. The facts in this presentation dispel the conspiracy theory. It is now conspiracy fact. Our banking systems are indeed in the clutches of a major conspiracy. Trillions of American and Canadian taxes have been paid to banks that do not deserve the bailouts. The banks requiring bailouts should have been left to perish. Their non-adherence to the ethics of their profession cost the taxpayers trillions of dollars. I still wonder why JPMorgan Chase was granted $25 billion in bailout funds when they had $2.1 trillion in assets. I wonder, too, how much of that bailout money may have wound up as a deposit in the new bank. What do you think? Posted on September 4, 2009 February 16, 2012 Author The Big Bad BankCategories NewsTags bank, fraud, government, RothschildLeave a comment on Military action, Soviet revolution, JPMorgan Chase, Oh MY! Hello Fellow World Citizens! My name is George Washington Hunt. I live in Boulder, Colorado. knees just by adjustments to credit and currency. hereby am your educator and I plan to show you that this is a fraudulent bank. The rich elite will invest trillions of dollars into this Rothschild bank in return for stock in the bank. before and past, I think you will agree that this bank is a scam and is completely unacceptable. Watch The video to see what I am talking about! A wonderfull history, or the deep rooted plans for control? As you all know I have been heavily involved with these issues for quite some time, In the 1974 DVD I proposed the possibility that the Rothschilds were of the Dynasty of Edom. Bible-readers will know that their family have sworn to regain the birth-right that Jacob (Israel) stole from Esau. The Herod Family are Edomites, They built Herod’s Temple for the Jews and held powerful positions at the time of Jesus Christ. Herod the Great heard of the birth Jesus Christ and killed all the boy babies in the area of Jesus’ birth. A later Herod interrogated Jesus Christ and sent him back to Pontius Pilate. Where did this Esau theory I have proposed come about? When I ate lunch with Baron and Lady Rothschild on my left and Michael Sweatman, the president of the World Conservation Bank, on my right,a word of knowledge, an inner voice if you will, said “You are sitting in the presence of the Dynasty of Edom”. Esau means “red child” and the name Rothschild may very well be a reconstructed name of the German “red child”; not “red shield”. The family originally used the name of “Bauer” and changed it to Red Shield, rather than Red Child. Posted on August 18, 2009 March 2, 2013 Author George HuntCategories NewsTags Esau, Herod, Jacob Israel, Jesus ChristLeave a comment on A wonderfull history, or the deep rooted plans for control?